If you’re looking for houses for sale or to rent in Thirsk and the Northallerton areas then call Hunters Estate Agents and Letting Agents Thirsk. Hunters Thirsk specialise in property for sale and to rent in all styles and price ranges. Our branch office is based in Market Place, Thirsk, where we directly service the YO7, DL6 and DL7 postcodes. We are a franchise-owned local agency with the backing of the vast Hunters network nationwide, providing links to more buyers and sellers. All our staff are fully trained Estate Agents through the Hunters Training Academy with NAEA and ARLA, recognised qualifications, meaning that you are guaranteed to be dealing with a professional every time that you deal with us. Christien and Sally Phillips, Branch Directors of Hunters Thirsk, have lived in Yorkshire for many years and have a great understanding of the local market and all that the area has to offer. 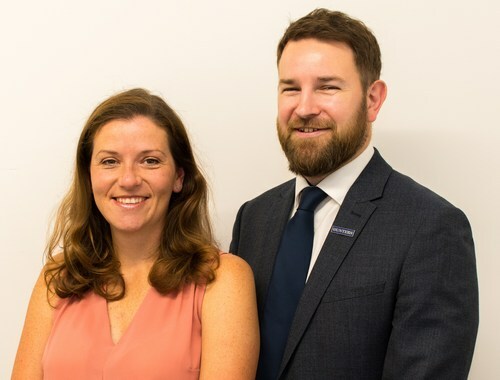 After years of working for others, they both felt that it was time to pursue their dream of starting their own Estate Agency. From their first meeting with Hunters, they recognised that opening a Hunters franchise in the Thirsk area would provide them with the support and opportunity that they were looking for and are excited by the challenge ahead. So, if you are looking for or have a home for sale or rent Hunters Estate Agents and Letting Agents Thirsk today. We are a local agency offering a bespoke customer-focussed service with the support and knowledge of a leading national brand. We will go the extra mile for you to ensure your experience is as stress free and straight forward as possible. VAT Reg No: 262 7423 06 | Registered No: 9672327 | Registered Office: 48a Market Place, Thirsk, YO7 1LH. A Hunters franchise owned and operated under licence by C & S Phillips Ltd.
Christien brings valuable skills and experience from his previous role in account management and customer service. 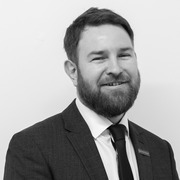 He is a highly skilled negotiator and manager who will ensure your home is always our highest priority and will ensure that Hunters Thirsk deliver a high standard of service and communication throughout the sales or lettings process. Sally has over twenty years’ experience within the property sector having originally started work within her family’s property development and student housing business. During her 16 years in Estate Agency, Sally has worked at management level for independent market leading agents who specialised in both sales and lettings. She therefore brings with her a vast wealth of knowledge and experience. 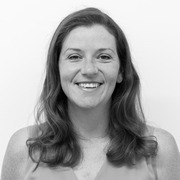 Charlotte joined the team in July 2018 and has quickly become a valued member of the team. She is often your first point of contact when visiting or calling the office and is always keen to assist. 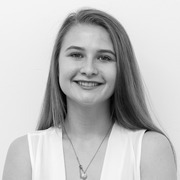 As well as working her way to becoming a fully qualified Sales and Lettings Negotiator via the Hunters Training Academy, Charlotte is also studying for her approved apprenticeship in Business Administration. 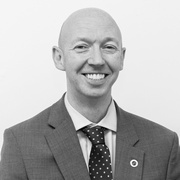 Mark is a fully qualified and independent financial adviser and can help with a range of products such as mortgages, life assurance, critical illness cover, income protection, general insurance, ASU products and Will referrals. Mark doesn’t work for us directly - he’s employed by Linear Financial Solutions (an appointed representative of PRIMIS Mortgage Network) and is generally in the office on Thursdays or contactable by phone at any other time. Thirsk is a traditional market town situated twenty-three miles north of York and eight miles south of Northallerton. It is perfectly positioned in the Vale of Mowbray, North Yorkshire for residents and visitors to enjoy at their leisure the North Yorkshire Moors to the east and the Yorkshire Dales to the west as well as all that this historic town has to offer. The town centre features a cobbled market square with town clock and a variety of shops, tourist information and a traditional market held twice per week. The wider town facilitates the enjoyment of leisure activities such as walks along the river, including the Swale Way long distance route, horse racing at Thirsk Racecourse and sports clubs for bowls, cricket, hockey, football, tennis and rugby union. The town is serviced for travel by local bus routes and rail links via the east coast mainline. Situated on the A19/A170 link, Thirsk provides easy access for driving routes east towards Middlesbrough, Whitby, Scarborough, Pickering and the North Yorkshire National Park. Alternatively driving west provides links to the A1 North and South routes or beyond to Ripon and into the Yorkshire Dales National Park. Thirsk is famous for James Alfred Wright (also known as James Herriot) - famous veterinarian and author, Thomas Lord – Founder of the Lord’s Cricket Ground in London, and William de Mowbray – One of the Barons appointed to ensure that King John upheld the Magna Carta agreement.